After 30 years of following the rules and staying within the lines, I’ve finally rebelled. Well, I rebelled in the kind of way that doesn’t result in broken laws, broken bones or broken hearts. Inspired by Brisbane’s sudden burst of warmer days and the neon trend sweeping through the world of fashion, I dyed the ends of my blonde hair pink—and in doing so, ticked another item off my bucket list. It seems candy-coloured pink hair is red hot at the moment; it’s being featured everywhere from the catwalk to the red carpet. Celebrity ‘pink ladies’ include Jennifer Hawkins, Lauren Conrad, January Jones, Rachel McAdams and Katy Perry. 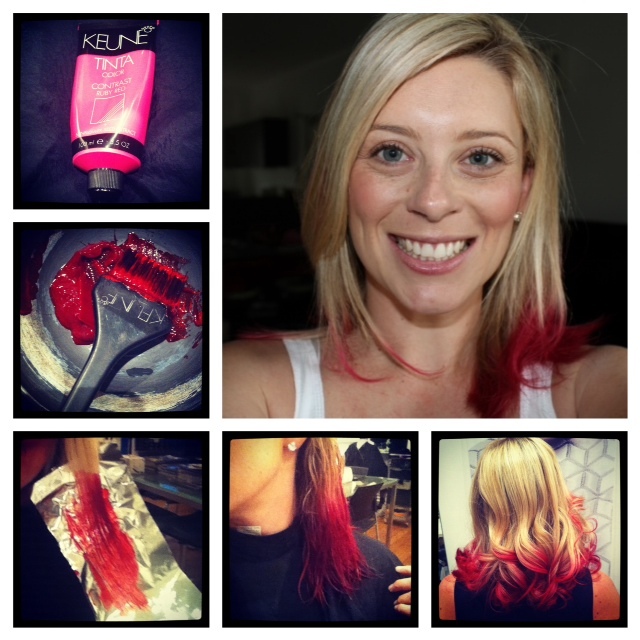 So, after months of begging my hairdresser Elle to take a chance on ‘Flamingo Pink’, I watched in awe on Thursday night as she painted the last four inches of my tresses fuchsia (we used Keune’s Ruby Red which came out a dark, almost beetroot, pink). I was never a rebellious kid; I don’t have tattoos and my only piercings are one hole in each ear. 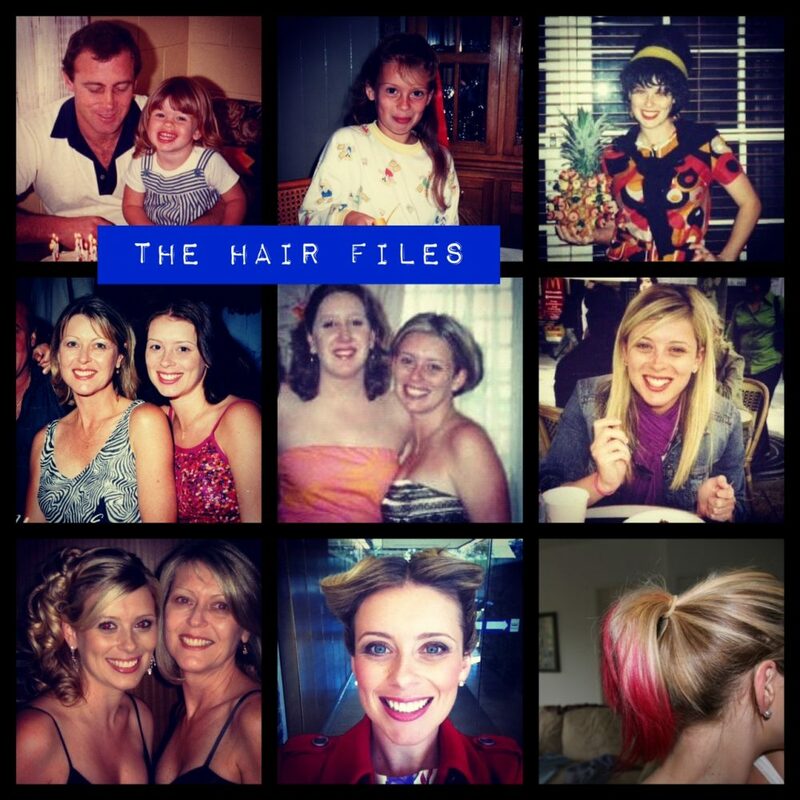 My hair was never a radical colour or cut and my dress sense has always been conservative mixed with preppy (once I got through the surfie phase of 1997/98). My biggest rebellion to date was going white water rafting in Austria after mum asked me not to for fear I’d drown. I happily called her afterwards, high on adrenalin, to let her know I had done it and survived. Anyway, the bonus of having only dyed the ends is that I can still tie it back for work and look somewhat professional; it’s almost like a ‘mullet’—business at the front and party at the back! Posting photos of my new pink ‘do on Facebook surprised a few people because for as long as most of them have known me, I’ve had straight blonde hair. What came before the blonde can only be referred to as ‘the dark years’ when I sported a dark brown blow-dried bob which I teamed with power-suits and pearls. It wasn’t really the best look for an 18-year-old. My new look appears to have stirred up some debate; most of my female friends loved it while a few of the boys thought I’d lost my mind; one asked if I was about to go all Britney and shave my head. My brother declared it awful. But one person who I think would approve is my Nana. For someone who lived to the ripe old age of 92, she was one cool cat. She had a wicked sense of humour and a twinkle in her eye that let you know that even when you thought she wasn’t listening, she was taking it all in—the good, the bad and especially the stories about boyfriends. But one of the coolest things about her was that for as long as I can remember, she had pink hair—and it looked fabulous. I guess this apple didn’t fall far from the tree! And when all is said and done, it’s only hair—it can be cut off and I can start again (although I won’t be returning to my dark roots!). What’s the craziest thing you’ve done to your hair?